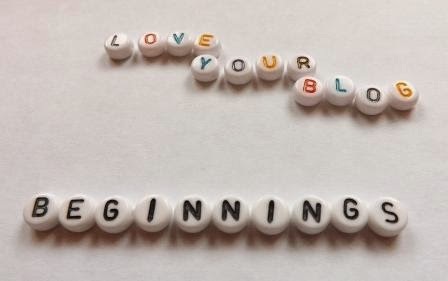 Beginnings was the week two prompt from the Love Your Blog Challenge. So I thought I would take this opportunity to share my beginnings as Poppybead. When I turned 30 I found out that I have dyslexia, I completed a degree and other qualifications. But I wanted to do my GCSE english again, so alongside studying for my GCSE I wanted to learn how to make something. Beaded jewellery was my chosen media. I began blogging in August 2010 to share what I was making and my crafting experiences. I started here on Blogspot but found it difficult to use on mobile devices, so started looking at different options. I tried Tumblr, signed up for Wordpress and then settled for blogging straight onto my website. This has become long winded and slows down my blogging. You have to resize photos, not enough readership and after looking at Bloglovin the wrong internet language. Poppybead is not the only blog I write or contribute to. I follow a gluten free diet to help with pain control of Endometriosis. I didn't think crafting people would want to hear about where I went to eat or what I had for dinner so I have started a separate blog for my ramblings. I am in the process of moving this content onto Wordpress. I came accross Wordpress as I contribute to the International Wheelchair Basketball Federation's blog. A lot of my weekends during September and May are spent as a basketball official. Again lots of people I have met through crafting are not keen on sport but wanted to follow my journey as an official at the London 2012 Paralympic Games. Nearly three years on I am still on my basketball journey so still contribute to the blog. Going back to Poppybead I am on the road to recovery after some health issues and have some more beginnings to start so watch this space.